Even In Blackouts have been putting out acoustic/electric highly energized music since 2001. It is fronted by John Jughead, of Screeching Weasel fame, along with powerhouse choir trained singer Liz Eldredge, and with co-songwriter Gub Scott Conway previously of Guage, and on drums and bass, Nathan Bice also of Hey Zeus and John Szymanski man of many bands alongside John Langford from The Mekons. 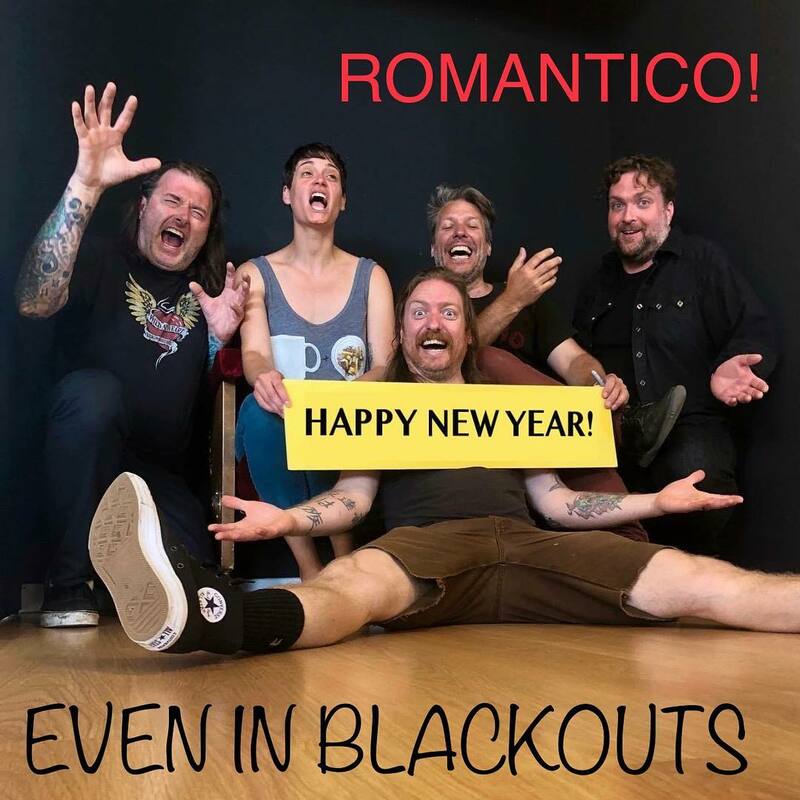 2019 will see the release of a new Even In Blackouts record, released digitally and on vinyl. 14 original new songs penned by John Jughead Pierson and Gub Scott Conway. While John was working in Osaka, Japan and Gub was living in Louisville, Kentucky, the two of them, simultaneously, and unknown to each other, started writing songs for Even In Blackouts. The band had gotten back together to record a couple songs in a Boston studio with Bice engineering, and this provoked the main songwriters to keep working while they were alone and alienated in different countries. The products that came out were highly emotive, energetic, melodic, and brimming with Love and Frustration. There was a running joke where Gub and John would yell Romantico! then make up a product to go with the name. Now they have a product that will be tangible, ROMANTICO, the record. More details soon. Art will appear even sooner. Happy New Year! !